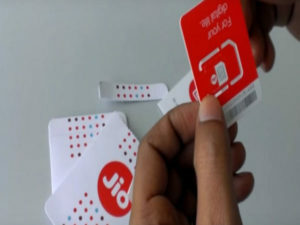 Reliance Jio has announced the new pre-paid and post-paid plans ranging from Rs 19 to Rs 9,999. The Reliance Jio Prime members can only use the Rs 149 recharge for prepaid plans, other plans are not supported for Prime members. The Prime members must become the subscribers to avail the post-paid plans. The Reliance Jio changed plans offers more data for prime members for above recharge of Rs 149. Jio Summer Surprise Offer users can get the benefits of all these plans. Reliance Jio Free offers will be ended up by 15th April. From that time Reliance Jio is going to offer unlimited 4G data with little increased tariff rates for prime users. The Reliance Jio plans were changed slightly such as Rs 303 data pack to Rs 309 and the Rs 499 data pack to Rs 509. The Reliance Jio Dhan Dhana Dhan plan gives 84GB complementary data for its clients. Reliance Jio Changed Pre—paid and post-paid plans list from Rs 19 to Rs 9,999 has been given here. Go through the list. Jio non-Prime: 300MB 4G data.